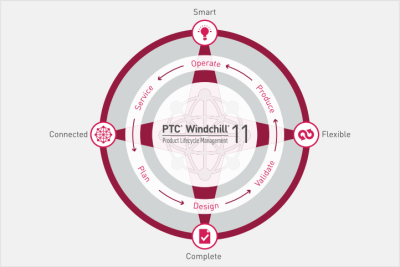 PLM is typically utilized by engineers to manage their CAD data throughout the lifecycle, but it can be used to serve the entire enterprise. As a small machine shop, Elite is using Windchill for the downstream users as well as engineering. PLM serves the role of a secure data repository with revision control and data sharing capabilities. Groups as diverse as engineering to customer relations benefit from Windchill.